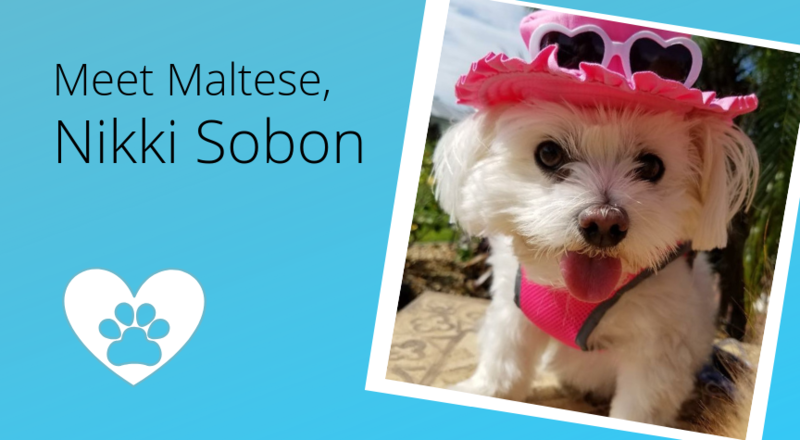 Maltese, Nikki Sobon, is one of three dogs in Beth Sobon’s family. Here is Nikki’s story! Tell us the story of how you became a doggy momma! Did something in your life happen that influenced you to get your doggy? Dogs have always been a part of my family. I’ve never been without a dog. I met Nikki when I met my husband, Joe. He had gotten Nikki as a puppy. I had a Beagle, Suzy, at the time. They became instant friends. After Suzy passed, we adopted 2 Pomeranians, Walter & Abby. They are puppy mill survivors. Nikki accepted them immediately and taught them what life is like as a pampered pooch. They are inseparable. They all love family vacations in our RV. What are some of your favorite memories with your doggy? Nikki loves the beach. We often take her on family vacations to Florida. She loves to walk on the beach and wade in the ocean. I love to watch TV and movies with Nikki. She watches along with me and often barks when she sees another animal on the screen. Nikki loves to play with toys. We have playtime every day. 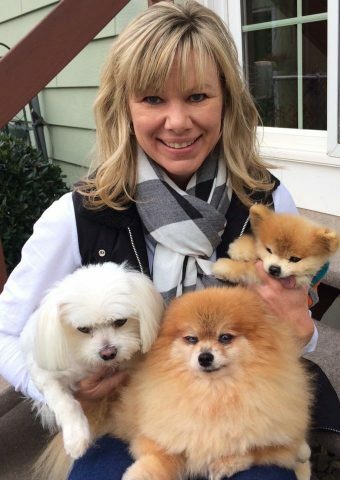 What is the #1 thing you love about being a doggy momma? I enjoy the happy greetings and excitement every time I come home. What are your favorite health and/or pet products that you cannot live without? Pumpkin! Nikki loves it and it has so many health benefits. If your doggy could talk, what would you ask them? What are your favorite and least favorite things to do? How would you describe your doggy’s personality? 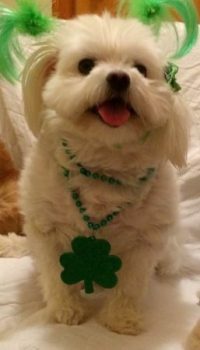 Nikki is a survivor! 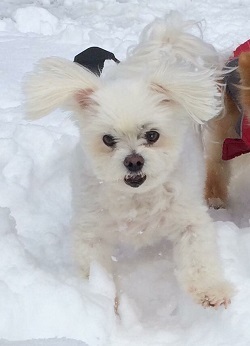 She was viciously attacked by 2 large dogs and survived. Her injuries were life-threatening and she was not expected to make it. We refer to her as our “Miracle” dog. It truly is a miracle that she is still with us. We treasure her every day. Thank you to Nikki’s mom and dad for being such rockstar parents! Make sure you check out their family Instagram here.